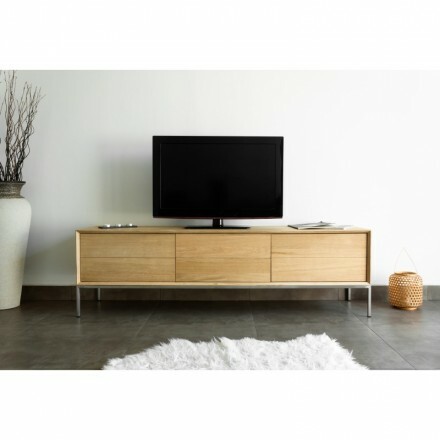 TV stands for your living room and for holding your multimedia equipment, consoles, players, hard disks, televisions. 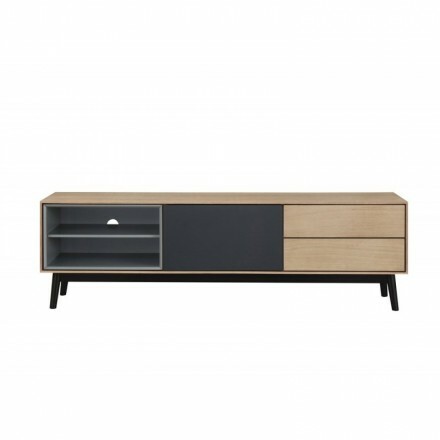 With first televisions watched during the 1950S, interiors have started being elaborated around this fascinating instrument. Soon, they were present in almost every home and have become essential. In this way, the need of a particular cabinet holding the television appeared. 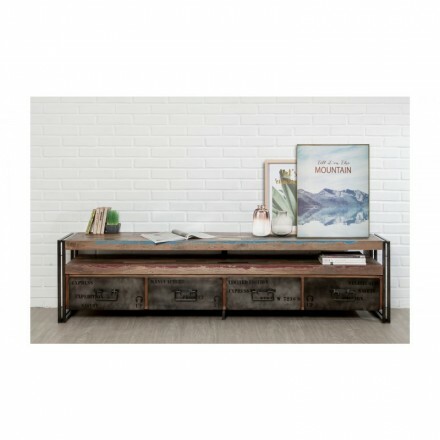 Today, TV stands are going hand to hand with television’s screens and are becoming a functional decorative furniture as well as aesthetic. They can take a number of forms, styles and colours and adapt to each way of living. On average, French people spend around 3H40 in front of their television. 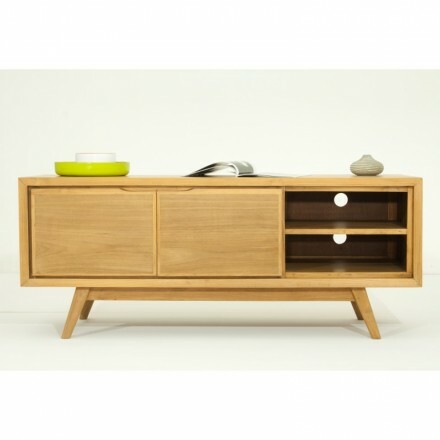 Thus, we can say that the television going with the TV stand is a central element of the living room. 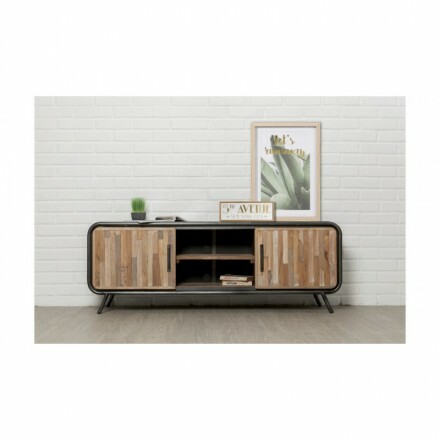 Indeed, it is often noticed that homes are structured around TV stands : armchairs and couches are most of the time angled in the direction of the television in order to be well positioned when watching a great movie. 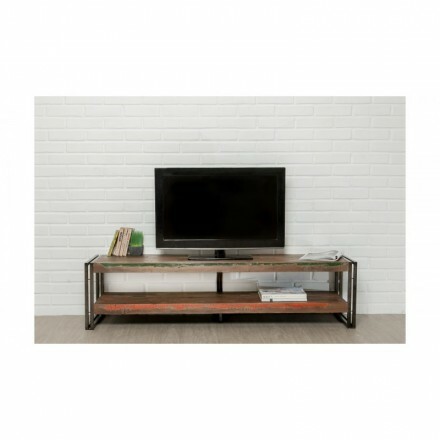 TV stand’s place within the room is thus essential: ideally, the TV stand should be positioned against a wall, in front of armchairs and couches and especially to a great distance. Depending on your TV’s resolution, the ideal distance would be between 3 and 5 meters. By the way, these tips also depend of the space you are offered with. 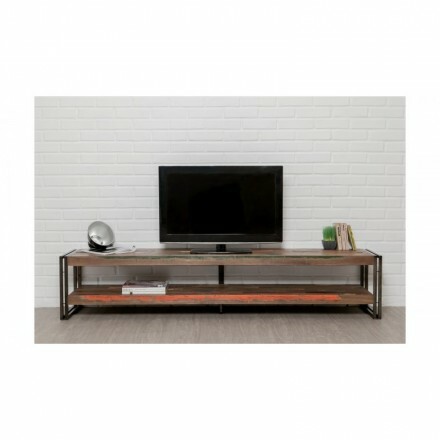 2/ What properties should have a TV stand? 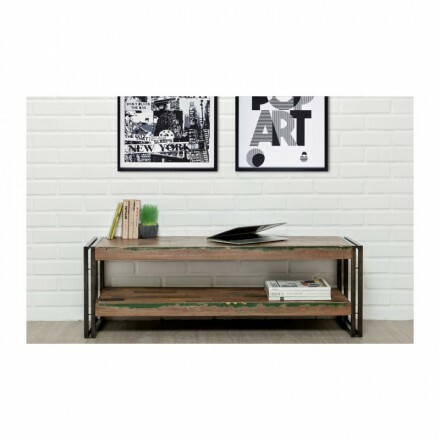 TV stands are above all a piece of furniture that should be operational. Indeed, the latter holds all of your multimedia equipment; electrical connections, players etc. but they mainly hold your television. 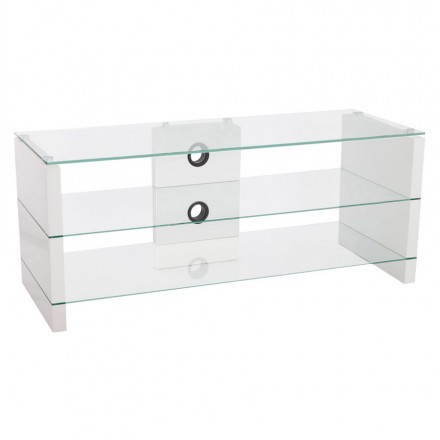 Thus, TV stand must have some properties in order to be the most operational possible. In a first place, they must have enough place to store all of your devices and keep every connection that belong with them. 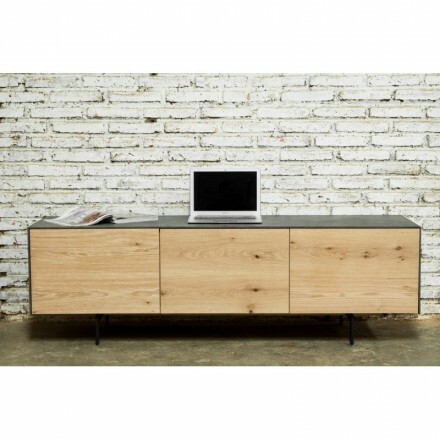 In this way, they must ideally have niches, drawers or even grommets in order to make these elements invisible. 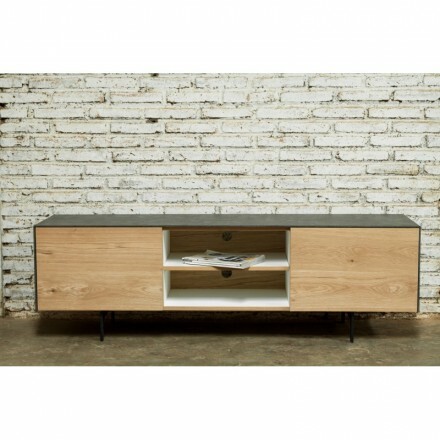 Furthermore, TV stands should be adapted to your television’s size to hold it strongly. 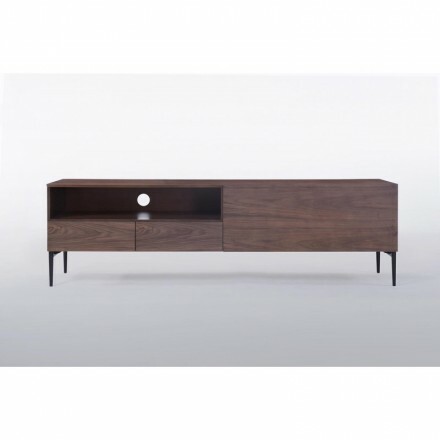 To this end, you must choose a TV stand depending on your television’s dimensions. Logically, if your television is large, your TV stand should match it in order not to create disproportion between those two. 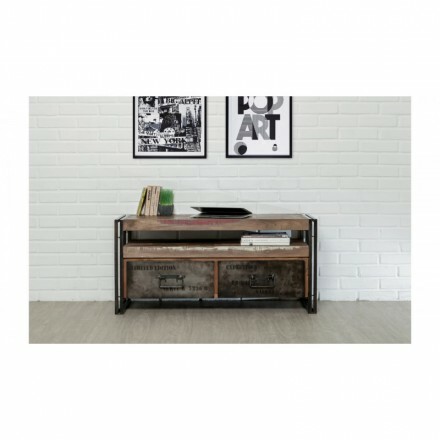 In the same way, the cabinet should be larger than your television.In a second place, the TV stand can also serve an aesthetic function. 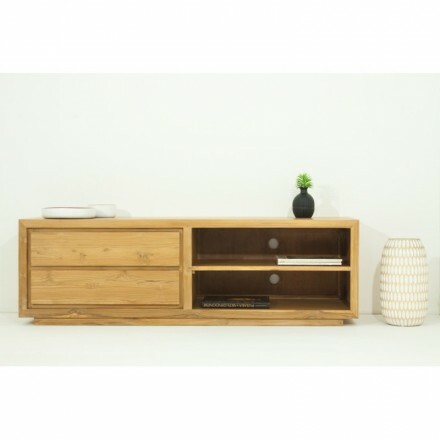 It can help beautify your television or in the same way help to hide the presence of it within a room. 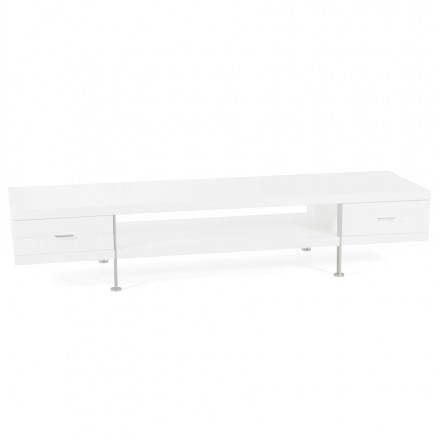 For purposes of beautifying, you should choose a classic TV stand characterized by a simple square piece of furniture more or less large. In this way, the television will be more visible. The latter could also be colourful and vibrant and will serve the only function of storing your multimedia equipment and holding your TV. 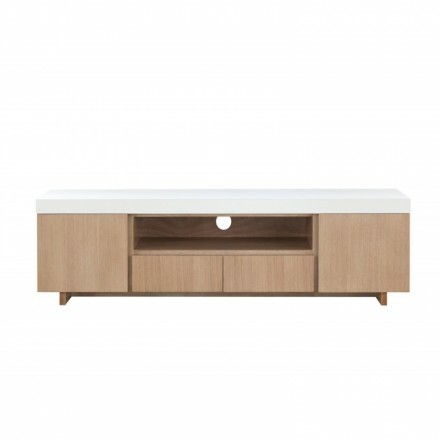 3/ Now, which TV stand should I go for? 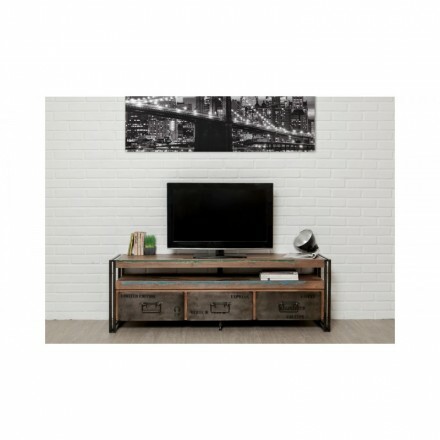 In a first place, if your living room doesn’t have much space, you should opt for a classic TV stand that will answer all your needs. 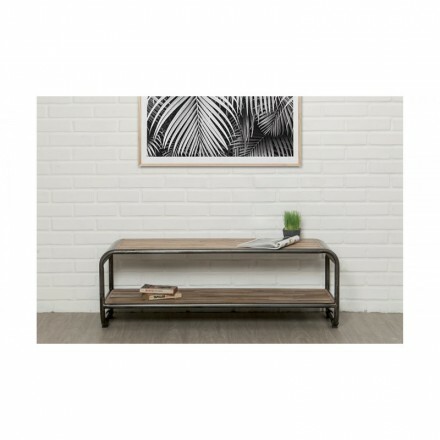 Perfect for low budgets, small spaces and TV screens, the classic TV stand takes many forms and styles. 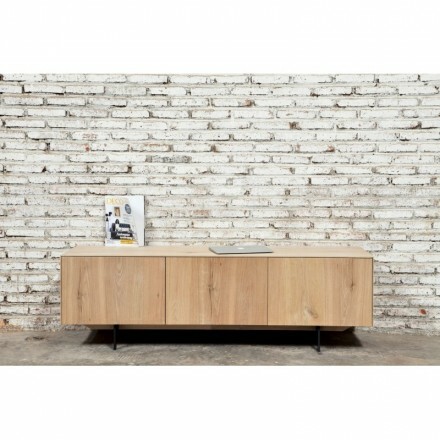 For a trendy and design living room, a low and long cabinet is perfect! 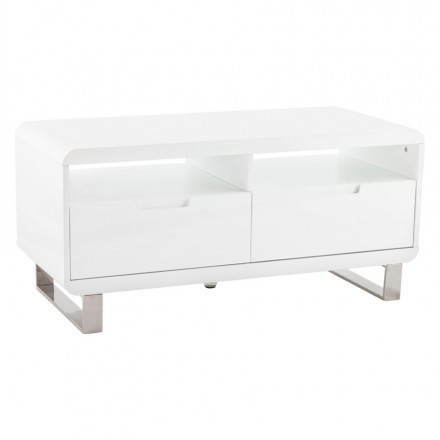 It will fit all your criteria by staying unobtrusive and by bringing a design touch to your television space. 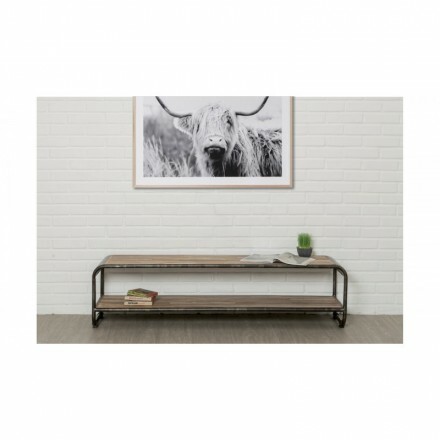 In a second place, your room is large enough and can welcome an important sized TV stand, and enough storage space: mural compositions or TV stands with many drawers are your friends! 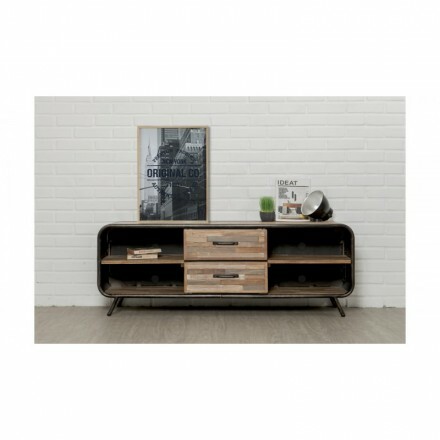 They will bring enough storage space and will be trendy at the same time, they will also adapt to the atmosphere of your room! They can take many forms: C shape, H or L shapes, you will be able to create a space according to your desires. 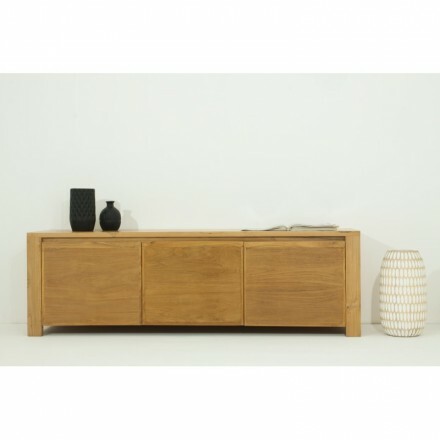 Furthermore, it is also possible to create a similar effect by associating a classic cabinet and some shelves. 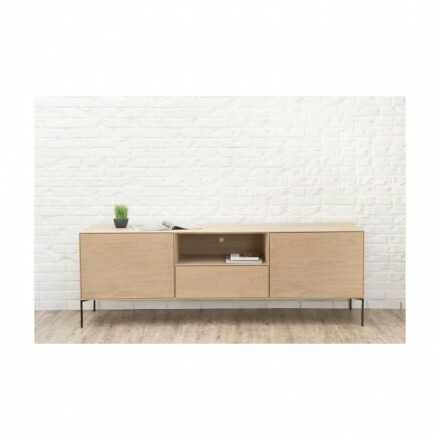 4/ What style for my TV stand? Finally, the most important question: what style should I choose? 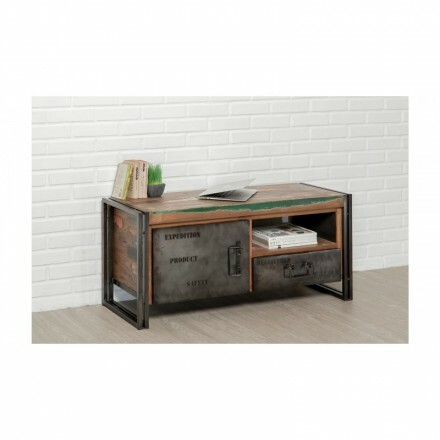 Yes, even TV stands can take many styles! Indeed, they can adapt to any design and will fit your room’s mood. 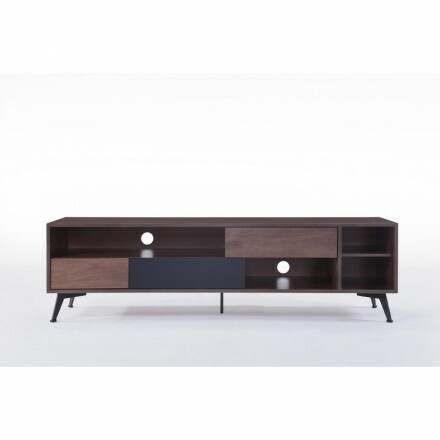 You have a multitude of choice since a TV stand exist for each personality and following the trends.